Completing the interviews for an oral history project is a major accomplishment, but it is not the final step by any means. 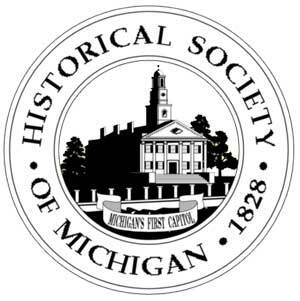 Attendees of this workshop will understand the significance of properly cataloging and storing oral histories so that they can be accessible later for additional historians. Organizations embarking on an oral history project, as well as those with boxes of old audio and video tapes, will want to attend this informative program. Presented by Dean Rehberger, Michigan State University. For in-person attendees, refreshments will be available. Lunch is on your own. Materials are included with your registration. Any handouts from the presenter will be sent to remote attendees after the workshop. To register for a workshop, use our secure online registration form (https://www.hsmichigan.org/programs/workshops/#form) or call 800-692-1828. If you are a personal member of HSM or represent an organization that itself is a member of the Society, registration is $39. Registration for non-members is $79 and includes a one-year HSM Individual Level 1 [Basic] membership. New for 2017! Participants can now “attend” remotely, if they prefer, through Zoom Video Communications and will be able to interact with the speaker and other attendees (for full interaction, microphone and webcam are required on your device. Instructions on how to remote-in to the workshop will be sent to attendees).